Color/Appearance: Sapwood is a pale white, sometimes with a yellow/green hue similar to Yellow Poplar. 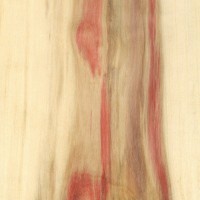 The heartwood is a grayish/yellowish brown, frequently with red or pink streaks. The red stain is produced by the tree’s natural defenses when wounded—it is thought that this compound is meant to inhibit the growth of fungus (Fusarium solani) that commonly colonizes the tree. Much of the reddish coloring becomes a more subdued pink or brown/gray upon drying. Grain/Texture: Grain is straight, with a fine even texture. 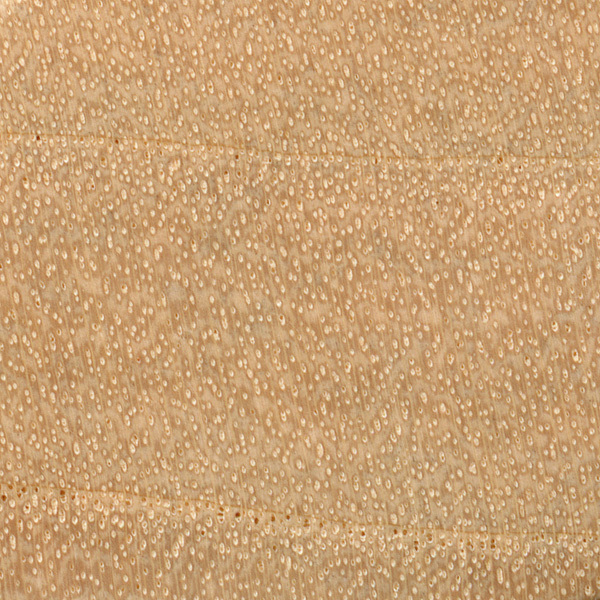 The growth rings are usually faint and non-distinct. Endgrain: Diffuse-porous; solitary and radial multiples; medium pores in no specific arrangement, moderately numerous; mineral deposits occasionally present; parenchyma marginal; narrow to wide rays, spacing normal. Rot Resistance: Poor durability, rated as non-durable to perishable. Heartwood is subject to heart rot and insect attack. Workability: Easy to work with both hand and machine tools. Turns, glues, and finishes well. 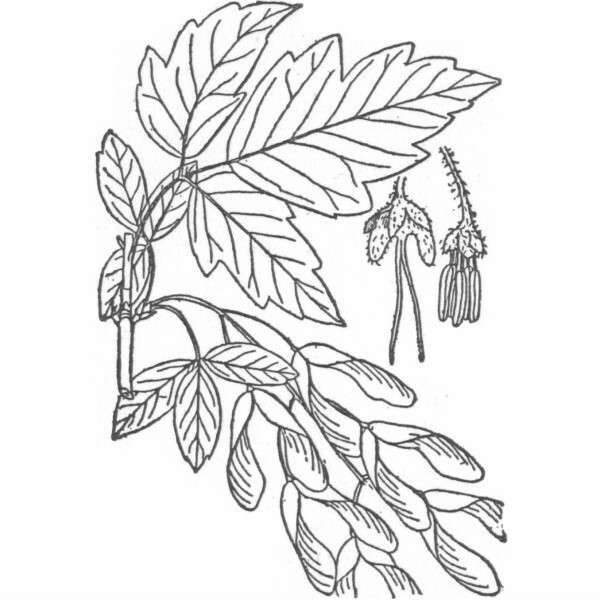 Odor: Box Elder has a distinct and unpleasant scent when wet, which mostly subsides once dry. 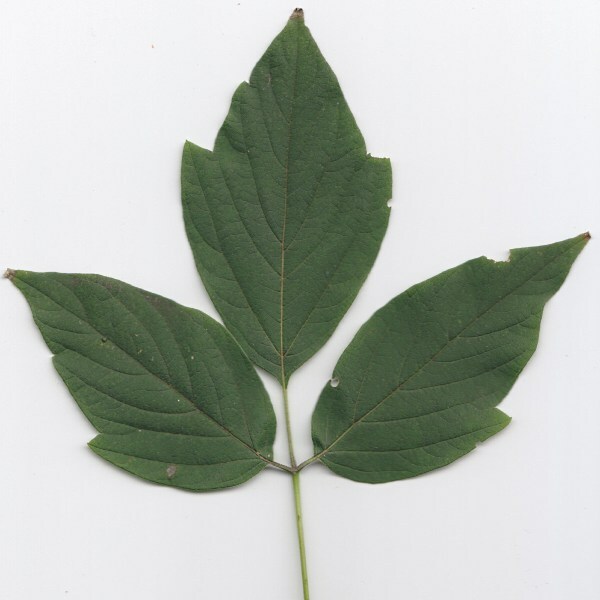 Allergies/Toxicity: Box Elder, along with other maples in the Acer genus have been reported to cause skin irritation, runny nose, and asthma-like respiratory effects. See the articles Wood Allergies and Toxicity and Wood Dust Safety for more information. 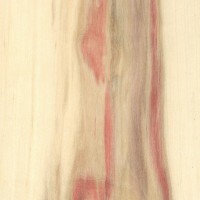 Pricing/Availability: Seldom used or available in lumber form, Box Elder is occasionally harvested in small quantities by hobbyists or specialty sawmills, with lumber exhibiting reddish pink heartwood streaks being the most desirable. Dyed/stabilized burl blocks for use in turning projects are also offered. Prices should be moderate given Box Elder’s commonness, though figured pieces and/or burls are likely to be more expensive. Common Uses: Turned objects, small ornamental objects, wood pulp, charcoal, boxes, and crates. Comments: Sometimes called “Ash-leaved Maple” because of its non-typical leaves, (see below), Box Elder is technically considered a maple tree (Acer genus). 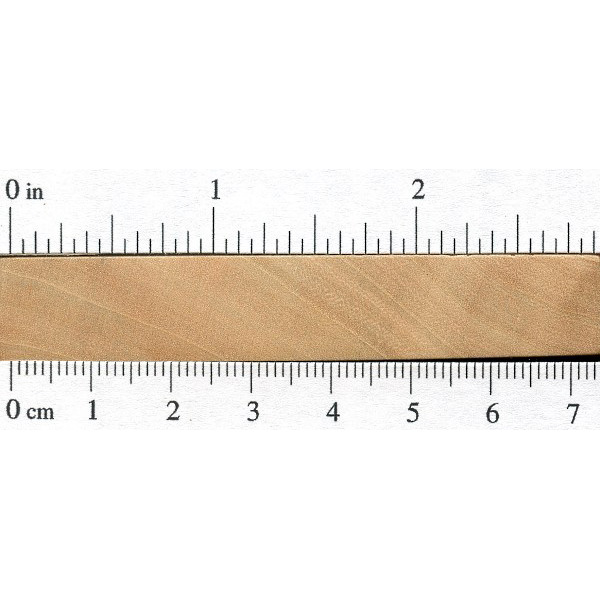 Its lumber is softer, weaker, and lighter than almost all other species of maple, and Box Elder’s overall strength, as well as it’s strength-to-weight ratio are poor. 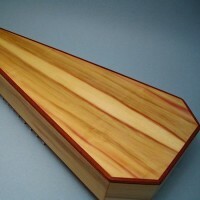 Scans/Pictures: Below is an example of a red-streaked Box Elder board. 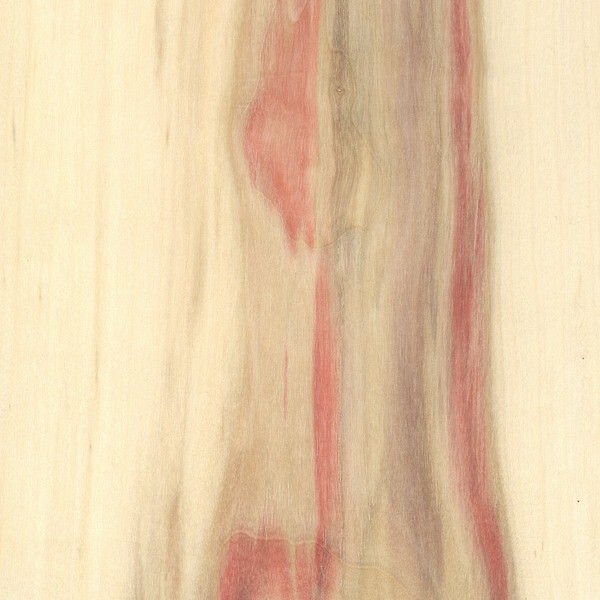 Note that on this particular piece, when freshly cut virtually all of the heartwood was bright red, and upon drying nearly all of the color shifted to a pale brown or pink with only a small band of red remaining at the intersection of the heartwood and sapwood. My nephew was going to burn this stump. You can also make box elder syrup, like you can with all maples. Sugar maple is obviously the most prevalent, but you can make syrup from pretty much any Acer species. If you think this tree is invasive try getting rid if imported honey suckle. Who ever imported this evil vine should be shot, if their already dead dig them up and shot their remains. God how I hate imported honey suckle vines, they will kill your Dogwoods and cripple your pines! Get a goat. They’ve taken care of our honeysuckle. Box elder is somewhat common around here (Sundance, Wyoming) I have harvested some local trees that had burls and over the years have made quite a few things out of the stuff. The red/pink will fade with exposure but so far all that I have made are clear coated and kept inside and as of yet have not lost the color. Can box elder also be attacked by ambrosia beetles? I have some small pieces that are supposedly box elder and they have the distinctive ambrosia markings. 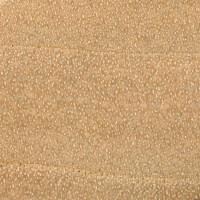 It’s a soft maple, quite light in color, and stinks a little when cut or sanded. Thanks. 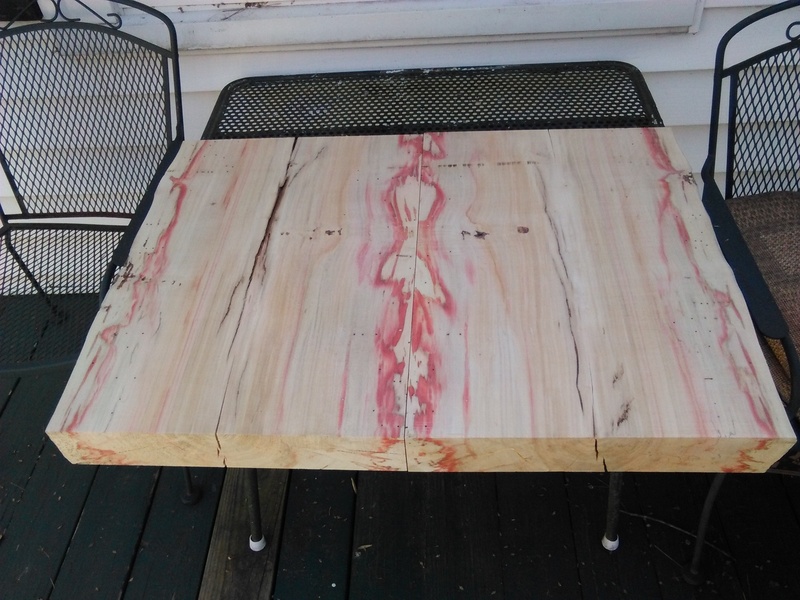 I was told the red/pink coloring was from the box elder beetle boring in and peeing/pooing in the wood. On wikipedia it says it is from a fungus. Has anyone ever heard of the 1st theory? I feel silly for telling so many people how the coloring is formed now. here is a picture of a side table i am finishing up. Not sure about that theory for Box Elder, but I’ve heard it for Ambrosia Maple. Basically, the beetles bore into the tree, and bring with them bring a fungus which discolors the wood. Not sure if that’s true for Box Elder, because I don’t always see the bug holes that are seen in Ambrosia Maple. Well that makes a little more sense to me. Thanks for sharing. According to the University of Vermont’s forestry dept. 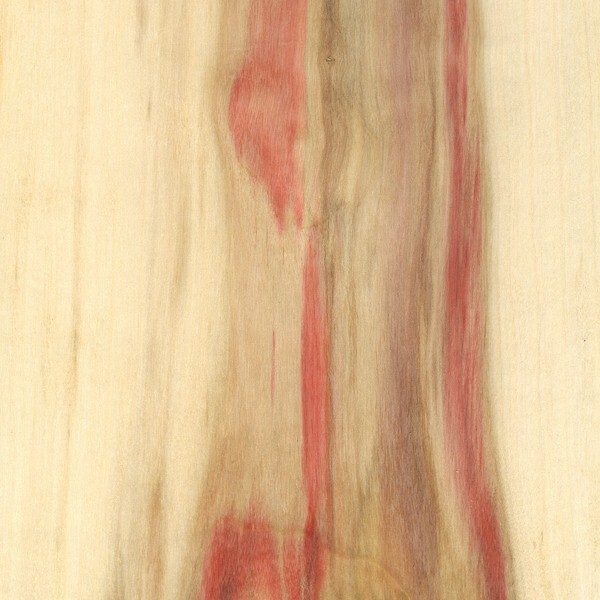 the red stain spreads at approximately 6″ per year and appears in 86% of wounded trees whether or not any fungus is found. My wife and I found some logs on my Aunts farm. We planned to keep the bark and finish the ends to make small side tables in a nursery. I’m letting it dry out in our garage, and finishing the tops with tung oil. We found out the wood was boxelder from the distinct red marks. Are there any health concerns related to this wood (not the actual working of the wood, but just exposure to it and the bark)? For photos of many eastern US species try https://bioimages.vanderbilt.edu/ or https://plants.usda.gov for many North American species. I assume Box Elder would be a poor choice for a timber frame building? I just received my harp made with this incredible wood. Here is a picture. Neck and pillar has honey locust core. 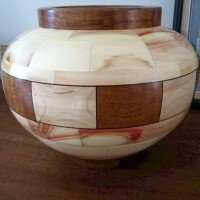 Flame Box Elder is prized by wood turners as it makes stunning bowls but mostly for decorations. If anyone in North Ga (gwinnette county) has some to get rid of I will make you a beautiful piece in exchange. You can email me at krizza0815@gmail.com. i think box elder is particularly pretty if its done with a bark trim around the bowl. i am on my way to south africa next week to see if i can find some ebony to do something similar. Hello! Beautiful work, I may have had this variety of tree that was illegally cut down in my yard by my neighbors, and, am wondering though they seem to not be popular, they seem to have value, that is, if one were to cut a 20 or 30 inch tree down, it could make dozens of bowls, what do your products value at each? 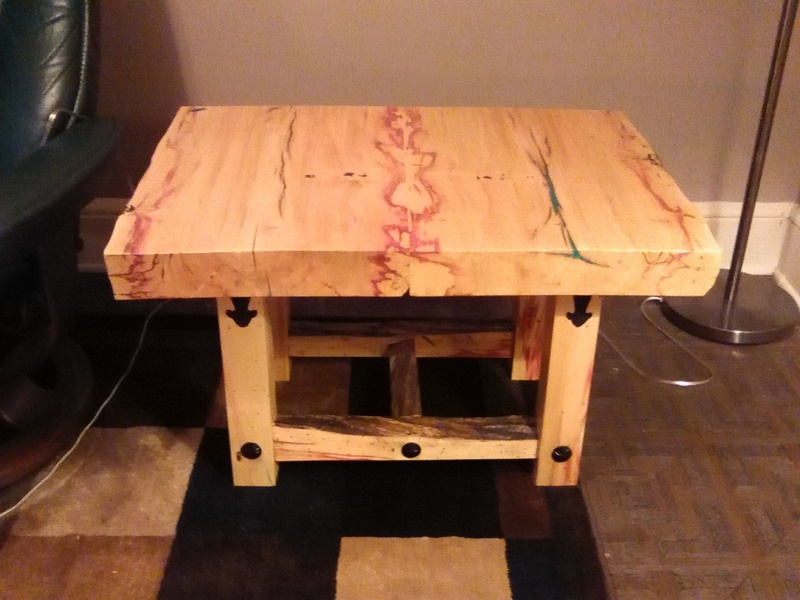 Wouldn’t there be more value to a box elder for its artistic beauty? Please reply when you can, and thanks. Great to hear all these interesting comments. 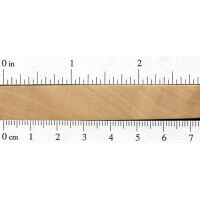 I am looking for quite a bit of this wood if any one has some to offer. I am also looking for someone who can turn the wood into a pretty little base for lamps made from Himalayan Salt Rock. Anyone interested, it would definitely be worth your while and for any wood worker out there with the right tools it should be easy work. The picture i have added is what I am trying to replace, I think the red tinge in the flame red box elder would look super instead of the little teak base. Interesting comments for such a trash species of tree. Someone asked of burning as in wood stove, I have burned a lot of this in a wood stove. Outdoors and split this wood will not survive 12 months without rot. I would split in mid spring and burn it starting in November. Any leftover into the next year went to the burn barrel due to extensive rot. Heated well but a little quick burning. This is a somewhat horse resistant tree. Usually horses will strip the bark off trees such as poplar, surface rot then begins and horse urine doesn’t help, within 4 years monsterous trees die and will need to be cut down. Boxelder on the other hand the horses pretty much leave alone. All boxelders near my horses have survived without damage although their growth rate has slowed. At any time during walks throughout the property I am constantly pulling small saplings. Where there is a heavy canopy saplings usually do not survive. long story,short. box elder good for ornamental uses. byaccident i discovered quite an acceptable smoke flavor when used for cooking. I agree with Kyle. While the wood is relatively attractive for turning, the tree is ugly and what I call an uncontrollable weed. Both of my neighbors have them and refuse to trim or even water them. One tip for the box elder bugs: Insecticides don’t work and harm the environment. I fill a pump sprayer with a couple of ounces of cheap dishwashing liquid and water, then spray the bugs. They perish almost instantly. I hate boxelder. These pictures make me think twice, but still hate it. I’ve got 500 acres of land that I’m trying to remove every last boxelder tree on. The bugs are a nuisance, and the trees are also because of their desire for sun. I have 5 of those trees for every hardwood in all of my woods. Nothing against anyone else. I personally don’t care for them and can’t cut them fast enough. 1- The red often fades to pink/brown as it dries. 2- The red is very UV sensitive and always fades to pink/brown over time. 3- Boxelder is relatively easy to dry: not prone to checking or warp, but it is prone to sticker shadow. 4- Anyone out there have a solution to sticker shadow for this species? The bright reds/pinks, at this point, will not only fade, but will disappear to the point that, after a few years of U.V. exposure, you will begin to question yourself, whether there ever was any red at all! Future finishing products may prevent this, but for now, don’t count on the colour remaining, unless the finished product is finished with u.v. inhibiting finish, then kept out of sunlight. We have some boxelder bowls that were made from a tree on our farm. Some of them have the characteristic bug holes in them. Is there a way to seal/plug these teeny holes to make these lovely bowls more useful? Thanks! 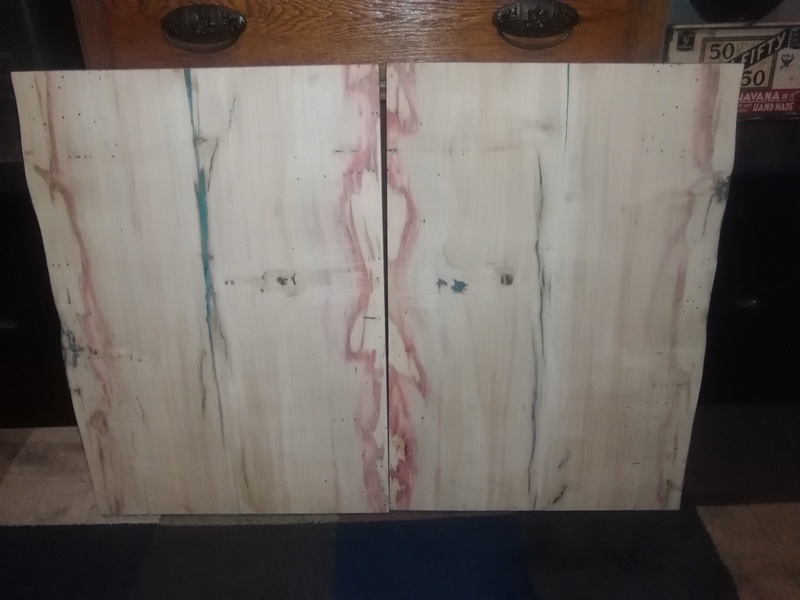 My father is a logger and gets lumber cut all the time, he recently had some Box Elder cut and it is the most beautiful wood I have ever seen…. simply stunning! These Box Elder photos are so beautiful. 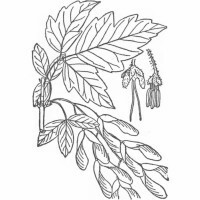 May I use the Box Elder sealed and the Box Elder box image on my blog? I have a couple of box elder logs that we haven’t milled yet, becuase I want to know how to maintain the color in them.